es City County, VA An assortment of attached home choices are available including one level , two level and even some three level town homes with basements can be found in Longhill Gate. Some of the homes offer one car attached garages. Sizes of the Longhill Gate attached homes range from 1100 square feet to 30000 square feet with a median size of 1900 square feet and from 2-4 bedrooms. Construction of the Longhill Gate Community started in 1988 with most of the early homes built by Jay Carter Homes. John Grier Construction built most of the later constructed homes . Gordon Berryman also built some of the newer homes in the neighborhood. Residents enjoy peaceful solitude with a wooded buffer/ greenbelt surrounding the development. 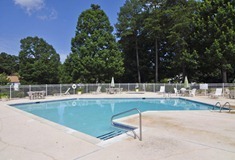 Amenities for Longhill Gate home owners include walking trails,a pool, tennis court and a playground. 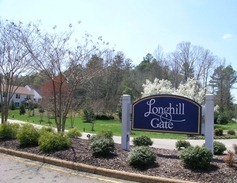 HOA ( Home Owner Association ) Fees in Longhill Gate are a low $96 a month which covers yard maintenance, use of the pool, tennis courts and playground as well as maintenance and management of the amenities and trash service. Note: Longhill Gate homes are not condos. These are fee simple attached town homes where you own your yard and the dwelling. across Longhill Rd, two miles west on Longhill Rd is Freedom Park, a 601-acre park that is home to significant American history – recognized nationally as the site of the earliest free black settlement dating to 1803-1860, the Revolutionary War Battle of Spencer’s Ordinary in 1781 and a 17th century domicile that is revealing much archaeological research of the early colonial period (1680-1730).. Also located in the park are the Williamsburg Botanical Garden, two miles of multiuse trails and more than 25 miles of mountain bike trails. Homes in Longhill Gate were built from 1988 – 2004. 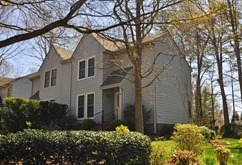 Sale prices in the last 12 months in Longhill Gate have ranged from $159,000 to $221,000. Not sure where to start? Feeling overwhelmed with all of the choices ? Then let Mr Williamsburg set up a customized search for you. I can search for almost criteria you would want. You can pick from style of home (single family, ranch, two-story, townhome, or condominium), number of bedrooms, age of home, number of baths, minimum square footage, number of garage bays, and property size you desire. Be sure to include any special features (i.e. First Floor Master Bedroom, Basement, Golf Course community, Gated community, Waterfront or waterfront community, neighborhood with a pool, 55+ active adult communities you want in a home and neighborhood. The more detail you give me the better the results you will receive. If you are just starting to search you may want to receive weekly or monthly updates so as not to bombard your email inbox. Results will include homes that have gone under contract and homes that have sold. 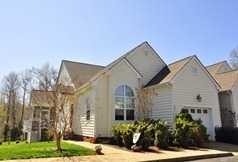 This will give you a “Feel” for our market here in the Williamsburg VA or Hampton Roads Va area. How Many Homes: 142 attached homes. Nearest Grocery Stores: Trader Joes, Fresh Market, Martins, , Food Lion are all very close. HOA fees are only $107 monthly. Taxes: Average: $1540 annual on a home valued at $200k ( a super low rate of $0.77 per $100 assessed value) one of the lowest in the area. Directions: From Rt 199 take Longhill Rd West, proceed two miles and turn left on Longhill Gate Rd , Across from Warhill Park entrance.. If you are reading this article you are seeing one of the many added benefits that come from listing a home with “Mr Williamsburg” No other real estate agents in the Williamsburg VA area have anywhere near the web / internet presence that I do. Feel free to search the 2000 + pages of articles , events, and communities in Williamsburg on my website. This site is read around the world by 1000’s a day. House Value-Want to get an idea of what your Longhill Gate might sell for ? Want to discuss our “No Surprises” Program ? Fill out the form here and we’ll get back to you ASAP.